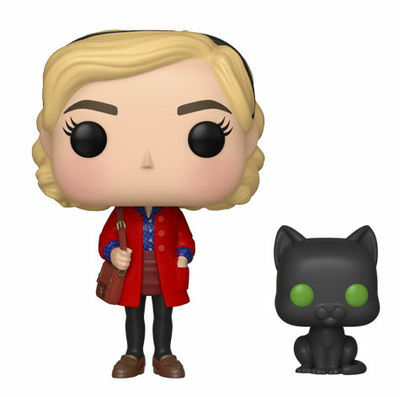 Celebrate the live action dark coming-of-age television series with this Pop! vinyl figure. 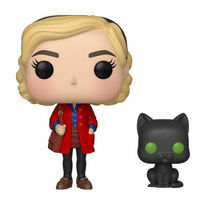 Sabrina Spellman has her work cut out for her fighting the forces of evil while attempting to pass as an ordinary mortal teenager. Does she have what it takes? And Don&CloseCurlyQuote;t forget to watch Chilling Adventures of Sabrina on Netflix on October 26, 2018! Legal Notice: Entire contents trademarked (® or TM) and copyrighted (©) 1986-2019 by Things From Another World, Inc. and respective copyright and trademark holders. All rights reserved. Page rendered at 2019-04-18 11:38:19 in 0.357 seconds.